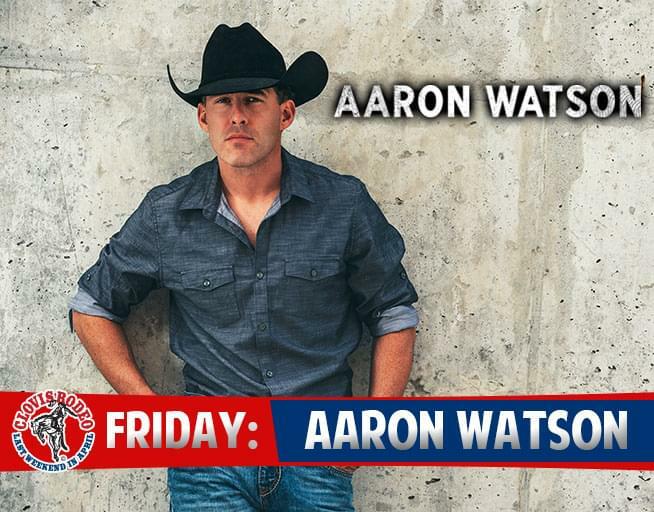 93.7 Kiss Country is proud to announce that Aaron Watson will be the Friday Night Featured Artist at the 105th Annual Clovis Rodeo! The show takes place after all the Clovis Rodeo action on Friday, April 26th at the Clovis Rodeo grounds. Aaron Watson continues to be one of country music’s biggest DIY success stories, with his latest effort, “Kiss That Girl Goodbye,” the solely self-penned lead single from his forthcoming studio album. The lyrically driven, up-tempo percussive stunner is the first glimpse into Watson’s brand-new studio project, Red Bandana. Slated for release in 2019 on his own BIG Label Records and distributed by ADA Worldwide, the album has already landed on “the most anticipated country albums of 2019” lists including Saving Country Music and The Boot. Join 93.7 Kiss Country for the 105th Clovis Rodeo April 25-28, 2019. One of only nine PRCA Gold Tour Rodeos in the nation! Great concerts, world champion cowboys and the best bucking stock in the sport come to Clovis every April because they say the fans are second to none. Grab your boots, grab your hat and join us for the 105th Clovis Rodeo. Tickets and information are available online at ClovisRodeo.com or at the Clovis Rodeo Box Office. See Box Office hours below. Tickets are on sale for the 105th Clovis Rodeo. Always the last weekend in April it is one of the most popular events in Fresno County and takes place April 25-28, 2019. Fans wanting to purchase tickets can take advantage of extended hours at the ticket office for two days only on Thursday, January 17 and Friday, January 18 from 9:00 a.m. to 7:00 p.m. (The Rodeo’s ticket office at the rodeo grounds will reopen again in March and remain open through April.) Tickets are available at any time on at ClovisRodeo.com.